I can think of no better epitaph for the book Tribes, the eleventh book by the bestselling author of Purple Cow and The Dip. Now, don’t get me wrong. I’m not here to disparage the book. Far from it. I consider Tribes a must read for reasons I hope to make clear. More to the point, I’m not going to begrudge someone born five days before me, possibly even in the same hospital. Quite simply, I’m merely going to follow his instructions (“Fear of Failure is Overrated,” pp 46-48) and offer some constructive criticism. 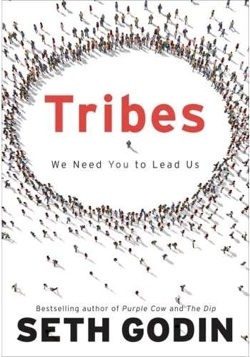 First, if you’re new to the whole Web 2.0 and social media thing, Tribes represents perhaps the easiest entrée into the embracing concept behind this innovative world. It’s easy to read. I finished it in just a few hours despite the many interruptions and distractions of a relatively free Saturday (let’s see, that would include one Boy Scout Training class, Saturday Mass and my daughter’s high school drama production). 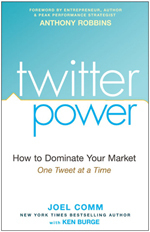 The book contains very little jargon – or at least very little of the kind of jargon that might scare neophytes away.